This is a Valentine’s Day card I made for my favorite loves. 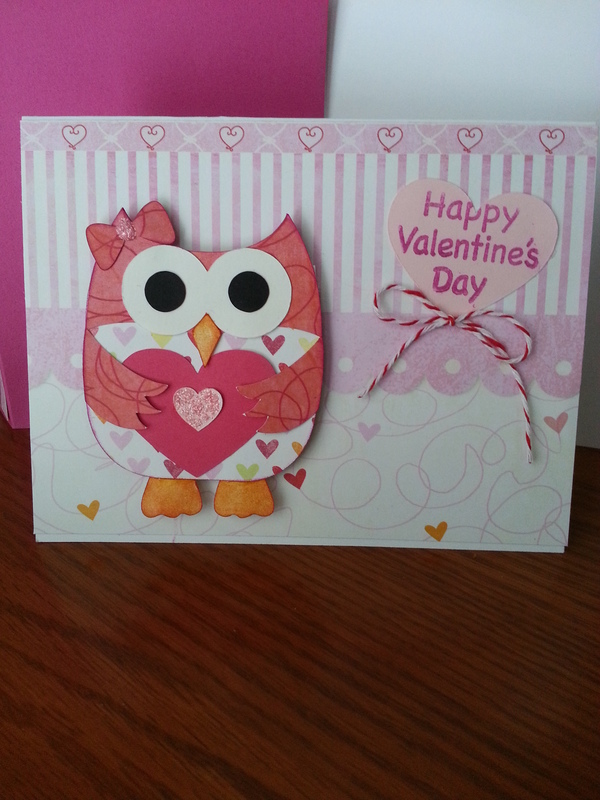 I used the owl from the silhouette on-line store and the paper is from K&Company. The sentiment inside is from LetteringDelights. I added some stickles and Martha Stewart red twine. I am entering this card in the CRAFTY CARDZ CHALLENGE and My Craft Spot Monday Challenge #86 For Your Sweetheart. I hope you all have a wonderful Valentine’s Day! Aaaw, super sweet Valentine’s card!! 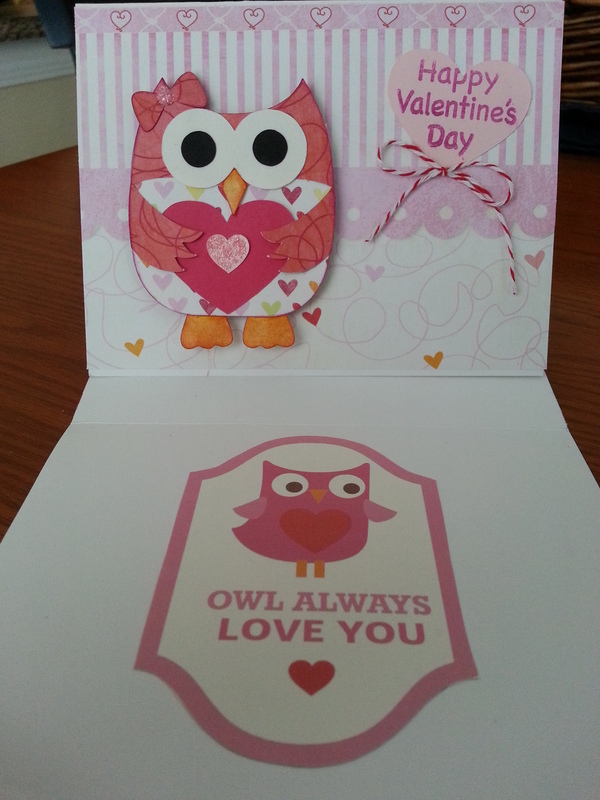 Your owl is so sweet and just love her holding the heart:) Awesome card! Thanks so much for joining us in the challenge at My Craft Spot! This is so sweet! Your papers are fabulous and your owl is adorable. Such a fun sentiment, too! Thanks. I had fun making it! Very cute! Thanks for playing at My Craft Spot. A very pretty card. All the elements look great. How cute! whoooo..wouldn’t want to be a recipient of this card. You did a great job! Thanks , my granddaughters loved it!